Your personal office desk can be ordinary or it can be classy. Our luxury stationary rack is designed for bringing about the latter. 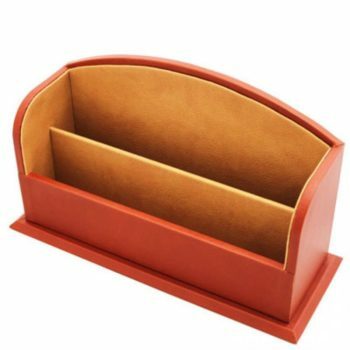 Our paper holder is not just a plain stationary rack; it’s a deluxe accessory intended for creating a work area you can be proud to call your personal office. 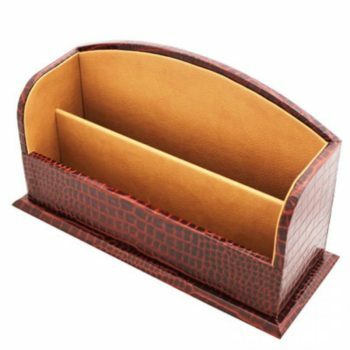 Every luxury stationary rack from Marlborough of England is made by hand and lined in Nubuck with two padded compartments. Store that all important memo or handwritten correspondence; the rack’s soft padding will keep the papers free of creases. Combined with other premium accessories like a paper tray or desk blotter and your station will have all the hallmarks of a CEO’s private desk. 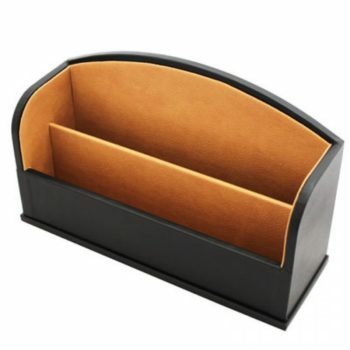 Our luxury stationary rack is a décor piece in its own right. It is designed for the sophisticated gentleman or lady that appreciates the small handcrafted details of a luxury item. Keep our lavish stationary rack on your home or work office, and your whole desk surface will look absolutely stunning.